Does the New Testament contain any clues to its own shape? How did the biblical authors perceive both the authority of their own writings and the authority of the writings on which they draw and on which they meditate? Certain texts in the New Testament shed light on this question. In particular, some statements by the biblical authors imply that 1) they believe their own writings to be authoritative, 2) they believe that other New Testament writings are authoritative, and 3) they write with an awareness that they are contributing to a growing but stable collection of authoritative writings. In other words, the New Testament authors wrote with a "canon-consciousness." A feature of this canon-consciousness includes the concept of closure. This concept of closure is embedded in the theological perspective of the New Testament writings. One way to see this perspective is to recognize the way that NT revelation is inextricably connected to Christ and his apostles. "Precisely because New Testament revelation was tied to the Jesus who appeared in real history, an implicit closure was built into the claim. . . . The idea of New Testament Scripture, certainly well established in the first part of the second century, presupposes some sort of canonical limit sooner or later." Thus, from the very beginning, "there was both extraordinary authority and implicit closure" associated with the writing of the New Testament . A distinct feature of each NT book, then, is a direct association to the revelation mediated through Jesus and communicated through his apostles. From the perspective of the NT, Jesus' words were naturally authoritative, and by extension, the divinely commissioned writings of the biblical authors represent that communicated authority. Accordingly, the "biblical idiom" of the biblical authors puts pressure on us as readers to identify written NT texts with the person and covenantal work of Jesus. Several NT texts associate the authority of Jesus' words with the words of the New Testament writings. These texts represent internal evidence for the canonical authority of New Testament writings. Matthew's Gospel: For example, in Matthew's Gospel, Jesus begins the sermon on the mount by highlighting the authority and enduring legitimacy of the Old Testament writings. As he says, "Do not think that I have come to abolish the Law or the Prophets; I have not come to abolish them but to fulfill them. For truly, I say to you, until heaven and earth pass away, not an iota, not a dot, will pass from the Law until all is accomplished" (Matt 5:17-18). He continues with a lengthy interaction about the interpretation of various Old Testament texts. While emphasizing the words of the Law and the Prophets at the beginning of his sermon (see also 7:12), Jesus concludes with a direct emphasis on the rock-solid authority of his own words! As he asserts, "everyone then who hears these words of mine and does them will be like a wise man who built his house on the rock" (7:24). What separates the wise from the foolish, the solid ground from the shifting sands is what someone does with "these words of mine." Jesus here puts his own words in a position reserved only for God's words, which is why the crowds were amazed at his teaching: "For he was teaching them as one who had authority, and not as their scribes" (7:29). Matthew's Gospel as a whole is presented as the faithful work of the apostle Matthew (the "scribe who has become a disciple," 13:51-52) who was commissioned to teach "these words" by the resurrected Jesus himself (see Matt 28:18-20). The "great commission," then, includes the writing and reading of this Gospel. John's Gospel: There is a similar movement in John's Gospel. In John 14:25-26, Jesus notes the role of the Spirit (sent from the Father in the Son's name) in remembering Jesus' teaching: "He will teach you all things and bring to your remembrance all that I have said to you." In one of his final prayers, Jesus speaks to future generations who will read and hear his words. Speaking to the Father, Jesus says, "I do not ask for these only, but also for those who will believe in me through their word, that they may all be one, just as you, Father, are in me, and I in you, that they also may be in us, so that the world may believe that you have sent me" (Jn 17:20-21). Here we get a rich Trinitarian snapshot of the function of the Scriptures in the divine economy (the plan of redemption). Part of the purpose of the Father's sending of the Son and the Spirit is to communicate the words of Jesus for future generations of readers/hearers. In this particular way, the Father will draw believers to himself. At the end of his Gospel, John reveals that his written Gospel fulfills this particular purpose. The Gospel of John itself is part of the means by which the Father accomplishes his purpose through the sending of the Son and the Spirit. As John writes, "Now Jesus did many other signs in the presence of the disciples, which are not written in this book; but these are written so that you may believe that Jesus is the Christ, the Son of God, and that by believing you may have life in his name" (Jn 20:30-31). In a book so careful about reserving the phrase, "it is written," for quotations of authoritative writings, this particular phrasing is brimming with theological import. John understands his own Gospel as one of the sacred writings that enable a life with God. From John's perspective, then, his Gospel bears the full authority of the one who commissioned it, the risen Lord himself. As the epilogue of John confirms, "This is the disciple who is bearing witness about these things, and who has written these things, and we know that his testimony is true" (Jn 20:24). Paul's Letters: This close association between God's communication and the writings of the apostles is also evident in the New Testament epistles. For example, in his first epistle to Timothy, Paul discusses the recompense of an elder by quoting a passage from Deuteronomy (25:4) and also the words of Jesus found in the Gospel of Luke (10:7). Paul understands both of these references to be what the "Scripture says" (1 Tim. 5.18). Significantly, Paul here attributes this quotation to Scripture rather than to the historical figure of Jesus. This emphasis on the written word implies that Paul has a notion of authoritative writings that includes at least material from Luke's Gospel . When Paul addresses the Thessalonians, he commends them for receiving his message. As he writes, "And we also thank God constantly for this, that when you received the word of God, which you heard from us, you accepted it not as the word of men but as what it really is, the word of God, which is at work in you believers" (1 Thess 2:13). Here, a word from Paul is understood as a word from God. This correlation is a striking snapshot of Paul's self-understanding when he writes an "apostolic" letter to one of the churches established by the preaching of the gospel. Peter confirms Paul's self-understanding of "Pauline epistles" in 2 Pet 3:15-16. Peter notes that there were false teachers in some churches twisting the words of "our beloved brother Paul" found "in all his letters" (2 Pet. 3.16). Peter here mentions both an individual letter (‘Paul . . . wrote to you’) and also a larger collection of letters (‘as also in all his letters’). Speaking of the content of these letters, Peter observes that "there are some things in them that are hard to understand, which the ignorant and unstable twist to their own destruction, as they do the other Scriptures" (2 Pet 3:16). 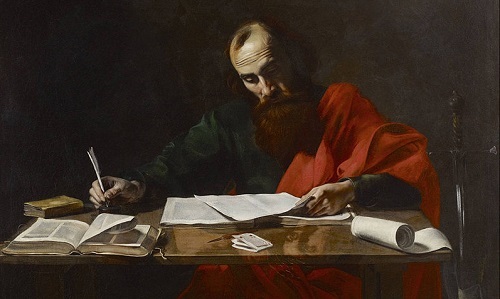 By associating Paul's letter(s) with "the other Scriptures" Peter unambiguously identifies Paul as a biblical author. Accordingly, when Paul writes in 2 Tim 3:16 that "all Scripture" is breathed out by God, there is conceptual room already in the New Testament itself for him to conceive of apostolic writings alongside those of the authoritative Hebrew Bible. In addition to these types of statements, several NT passages affirm that the message of Jesus and the apostles is sufficient until God's next stage of redemptive history. In other words, the special revelation communicated by the New Testament writers is sufficient until he returns and brings about the end of days. As mentioned above, because revelation concerning the new covenant is directly tied to Jesus and his commissioned disciples, these texts represent internal evidence within the NT itself for the concept of canonical "closure" (i.e., that the NT collection has literary and historical boundaries). The Location of "Last Days" Revelation: One of the strongest examples of this impulse is found in the prologue to the book of Hebrews. The writer here strongly locates the "last days" revelation about God and his redemptive purposes in the world exclusively in Christ, "the Son." As he writes, "Long ago, at many times and in many ways, God spoke to our fathers by the prophets, but in these last days he has spoken to us by his Son, whom he appointed the heir of all things, through whom also he created the world" (Heb 1:1-2). The rest of Hebrews is presented as a full unfolding of the riches found in the Son. This message about the Son and his redemptive work that spans the grand biblical storyline is where the believing community will find rest and confident hope. Readers are to heed this exhortation "all the more as you see the Day drawing near" (Heb 10:25). The writer is also careful to emphasize the "living and active" word of God throughout the letter (Heb 4:12-13). In his conclusion, he characterizes his own letter as a "word of exhortation" (Heb 13:22). Here the writer of Hebrews associates his own letter with the word of God. This association is another example of canon-consciousness among the NT writers . The Shape of "Last Days" Revelation: If the location of the final "last days" revelation is found exclusively in the Son, how does this message get to later generations of readers? In a significant passage, Peter makes an important assertion about the nature of specific divine revelation. Peter writes to "remind" his readers about how to persevere in the "last days." The content of the message that they are to treasure is instructive: "that you should remember the predictions of the holy prophets and the commandment of the Lord and Savior through your apostles" (2 Pet 3:1-2). Here Peter outlines the shape of Christian revelation as the Prophets, the Christ, and the Apostles. This phrase becomes significant in the reception of the Christian canon as a whole. The "whole counsel of God" involves a two-Testament structure of authority centered on the resurrected Christ. The specific wording is vital as well. The teachings of the Lord and Savior come explicitly through your apostles. The depth of this simple statement is profound. The Prophets and Apostles testify to the culmination of God's revelation about himself and his work in the world. The biblical canon, then, reflects the shape of this dual witness to Jesus, the Christ. The Scope of "Last Days" Revelation: In the final book of the New Testament, there are several strategic passages that introduce the notion of closure. The book of Revelation presents the culmination of the biblical metanarrative. The blessing is for one who accepts and preserves the book that generates this comprehensive worldview. Following Jesus now also means reading his book and heeding its message. Accordingly, seen within the context of the Christian canon, Revelation 22 serves an exceedingly fitting role in providing closure to the grand storyline of the Bible and also the canonical collection in which that story is told. In other words, this message about the past (the gospel of the Gospels + the growth of the churches in the Epistles) and also the future (John's vision in Revelation) are sufficient for the believing community in the present until he comes. The first words of the book characterize what follows as the direct revelation of Jesus mediated through his messengers to be received by future generations of readers: "The revelation of Jesus Christ, which God gave him to show to his servants the things that must soon take place. He made it known by sending his angel to his servant John, who bore witness to the word of God and to the testimony of Jesus Christ, even to all that he saw. Blessed is the one who reads aloud the words of this prophecy, and blessed are those who hear, and who keep what is written in it, for the time is near" (Rev 1:1-3). Jesus' words at the very end of the book match these and anticipate the shape of the New Testament: "I, Jesus, have sent my angel to testify to you about these things for the churches" (Rev 22:16). These are the last words of the resurrected Jesus that we read in the New Testament, and they are about the letters that he commissioned to be read by the churches. In this way, Jesus refers directly to what comes to be the New Testament! Functioning as both a prophet and an apostle, John "writes in a book" what he sees and hears and sends it to the churches (Rev 1:11, 19). In Rev 22:18-19, there is the sober warning not to add or remove anything from these words. A distinct possibility is that the book of Revelation amplified the concept of closure that the early church then utilized in subsequent discussions regarding the extent and content of the biblical writings. The concept of a closed canon that was present among leaders in the early church could very well be in part a result of the effect that the book of Revelation had on its readers. This possibility is another example of the way the New Testament authors themselves could have influenced the growth and closure of the burgeoning New Testament collection. The ending of the historical phase of the composition of biblical writings, then, does not mean that God no longer speaks or that the Spirit was chased into a book. Rather, the biblical writings imply that he now speaks in just this book, in just these words. The conclusion of the canon points its readers forward and demands of them a posture of anticipation. John’s Apocalypse assumes that God’s written revelation is completed and sufficient, until he comes (Rev 22:20). As the final book of the Christian canon, Revelation contains the last words of the Risen Lord to the churches. Jesus himself is the one who testifies to these things, and he says, “Yes, I am coming quickly” (22:20). The ideal readers of the book of Revelation and thus the entire Christian canon are identified as the ones who reply to these words, “Amen. Come, Lord Jesus” (22:20) . As these examples show, within the New Testament itself, writings from two of the four main groupings (Gospels and Paul) are explicitly deemed authoritative Scripture by another apostle. This means that to say the biblical authors could have understood themselves to be writing "Scripture" is not an indefensible claim. These strategic canon-consciousness comments of the biblical authors demonstrate that the broader canonical context was not only a valid category of thought, but also a vital one. What's more, this type of evidence has not always been included in discussions of canon formation. However, a close study of these types of passages (internal evidence from the OT and NT) should be the cornerstone of our thinking about the origin and development of the biblical canon. This focus allows us to draw our categories and concepts from the biblical texts themselves. It also allows us to connect more closely the composition phase with the canonization and consolidation phase of canon formation. In other words, the actual writing of the Scriptures has an organic connection to the gathering of those written texts into a collection. 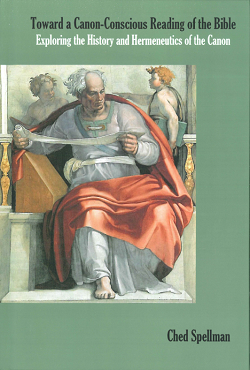 This internal evidence also provides a developed framework within which we are able to process the available external evidence for canon formation that we find in the writings of the early church. See Carson and Moo, Intro to NT, 732, 738. In Paul's quotation, verbal parallels are most clear in relation to Lk. 10:7, but Matt. 10:10 also expresses the same concept. Paul cites the same idea in 1 Cor. 9:14, but there he attributes the statement directly to Jesus ("the Lord"). For more on this specific point, see Jonathan Griffith's volume, Hebrews and Divine Speech. For further reflection on the idea that the book of Revelation helps us identify the "ideal reader" of the canon as a whole, see "The Scribe Who has Become a Disciple," in Themelios.